Hello and welcome to The Rob Burgess Show. I am, of course, your host, Rob Burgess. On this, our 134th episode, our guest is Brian VanDeMark. Brian VanDeMark grew up and attended college in Texas, went to graduate school in California, and now lives in Maryland. 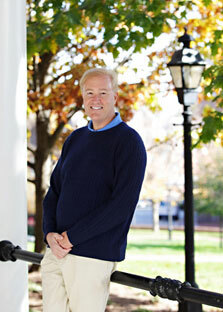 He teaches history at the United States Naval Academy, Annapolis, where he has been a member of its History Department since 1990. The author of several books on American history, he co-authored Robert McNamara's #1 best-selling Vietnam memoir, “In Retrospect,” which became the basis of Errol Morris's Academy Award-winning documentary film, "The Fog of War." His most recent book is “Road to Disaster: A New History of America's Descent into Vietnam” which was published by HarperCollins in 2018. 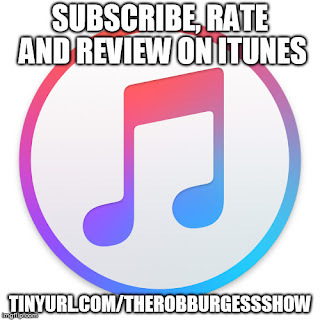 You can find more about me by visiting my website, www.thisburgess.com.If you have something to say, record a voice memo on your smartphone and send it to therobburgessshow@gmail.com. Include “voice memo” in the subject line of the email.